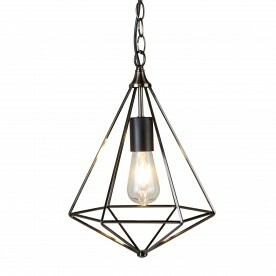 This gothic inspired light will add a vintage feel to the aesthetic of your home. 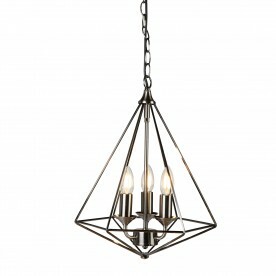 Suspending from a chain, this item proceeds to a pyramid cage holding three candlestick lights. 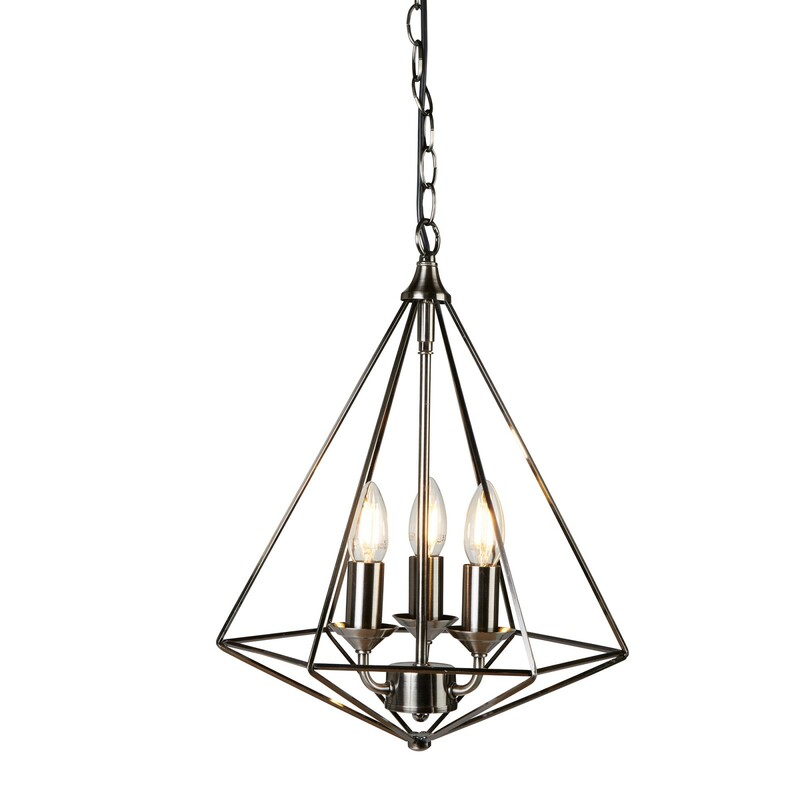 The light shines upwards, projecting three beams. Ideal for use in a traditional home looking for a modern edge.